Angela Tippets is an Independent Scentsy SuperStar Director. She’s been married for over 20 years and has three almost grown children. Due to her husband’s various jobs in the grocery industry, her family has moved 11 times and was looking for more stability. 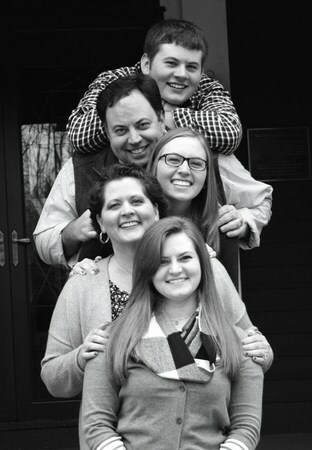 Find out how this family found financial security through a direct sales opportunity. You’ve been with Scentsy since April of 2007, tell us how you got started with them. 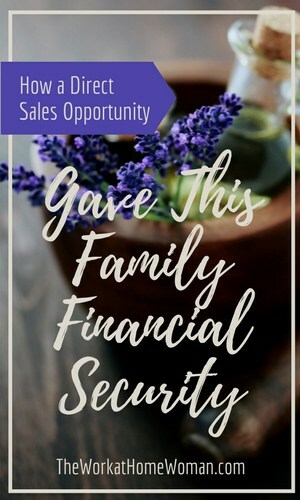 After multiple job losses and moves due to my husband’s job in the grocery industry, I was looking to help build financial security for our family. Since we had recently moved to a new state, I also needed a way to get out and meet new friends. Scentsy was a newer company and, after meeting the owners while living in Idaho, and hearing their core values and beliefs for the company, I knew it was something I just had to be a part of. Along with income and stability, it’s keeping “fun” in all aspects of my business. We have a great international team and have taught our leaders to lead, motivate, and inspire. As a company, Scentsy continues to grow and change with the industry. The consistency of love, respect, value, and contributing to the lives of consultants and community has not changed. The owners could have sold off long ago. However, they won’t. They care way too much to hand the business over to someone else. We truly are a business of family and a family business. I listed some of the things that I looked for before joining, and I would still recommend that aspiring consultants look for similar business attributes. It’s what sets a company apart and will allow for steady growth in the future. My advice to an aspiring consultant: Find a company and a product you are passionate about. Figure out your “Why” (why you need to make YOUR business work: more time with your family, paying extra bills, helping others?) Once you figure that out, then GO! Don’t quit! You can’t quit if you don’t start, so go for it like you mean it. It will take sacrifice and a lot of hard work. You will experience wins, and you will experience failures along the way. Don’t give up, though. Don’t bounce from company to company. Pick your passion and stick with it until you reach the tippy, tippy top! What did you do before joining Scentsy? I provided childcare in my home for 10.5 years and then worked as a classroom aid for a few special kindergarteners. When we moved to Cincinnati area, I started college at UC, majoring in Early Childhood Education. That’s about the same time my Scentsy business started taking off. Instead of going into major debt as a student, my husband and I prayed about it, and I chose to quit school and work my Scentsy business full-time. How many hours do you work a week and how much time is spent is your home office? I work about 40-50 hours a week, depending on what’s going on in my family. I watch very little TV, and try and make my days planned with purpose. It’s not always easy, but it has been worth it. I love that I can work on MY time. That doesn’t mean that I don’t have to work, it just means that I have a lot of flexibility in my schedule. When my daughter was 15 years old, she was diagnosed with a rare form of ovarian cancer. I was able to work minimal hours, while sitting in a hospital room for six months, as she went through her chemo treatments. I didn’t have to ask a boss for time off and was able to be with her 100% of the time. (She’s doing great now and is in total remission) Building my business to where I receive residual income was HUGE! With all the social media availability, I really feel like there are so many ways to build a Direct Sales business now, and it,” depends on the generation you are targeting. Millennials love to contribute; they want to make a difference. Offer parties where you share your products, but guests come for a bigger purpose: donate canned goods to a local food bank, make cancer hats, or help in some way to give back to the community. If you have a product that would be a great “make-and-take”, then plan a party around that. Sometimes busy moms just want to get out and be with other moms for a few hours. Make your products FUN, ENGAGING, and PURPOSEFUL. Show them how or why they need YOUR products in their lives. Thanks Angela for sharing your amazing story! Glad you enjoyed Angela’s story! I have a cousin who sells Scentsy; I love how their melts smell! I agree the direct sales model is perfect for women for want to start their own business, but don’t have a business background or a lot of money for a startup. Not only do direct sales companies cover all the nitty gritty of product creation and shipping, but they also have great training programs. Thanks for stopping by today! Hi Angela! I’ll become part of your Successline very shortly on or about 4/1! Melissa from Georgia just enrolled with Jill from Ohio and Melissa will be enrolling me from New York! Wooo hooo!!! Working from home can challenge us to become more than we thought we were. I know that it has done that for me. So I can appreciate your journey of discovery. Let me tell you, it’s only beginning. Thanks so much for sharing this story, and congratulations on your success! It’s so inspiring with a great message! I never really thought of it this way, but your husband is right, “goals change.” I’m only 19, but it still feels like everyone is pushing me to make up my mind about what I want my future to be. But my goals change practically everyday! This article gave me a lot of hope though that whatever I end up doing I will be fine. And if I end up unhappy with my choice, I can still change it.